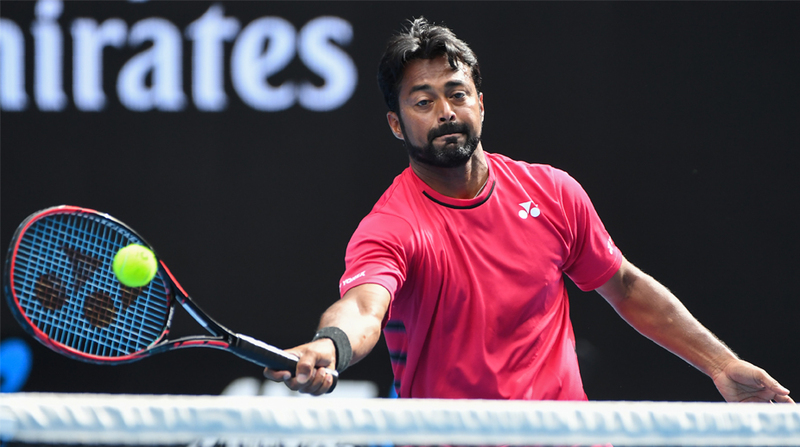 Veteran Leander Paes and Purav Raja outplayed their opponents to progress to the men’s doubles second round at the Australian Open and were joined by Rohan Bopanna and Divij Sharan with their respective partners. They have a tough job at hand as now they are up against fifth seeds Jamie Murray and Bruno Soares, one of the most consistent teams in the previous season. Left-handed Divij, who had a great 2017 season, and American Rajeev Ram, seeded 16th, edged out Marius Copil of Romania and Serbia’s Viktor Troicki 7-6(5) 6-4 in their opening round. They will now fight it out with Fabio Fognini and Marcel Granollers. Meanwhile, 10th seeds Rohan Bopanna and Edouard Roger- Vasselin fought off a late charge from Ryan Harrison and Vasek Pospisil to prevail 6-2 7-6(5). Bopanna saved a break chance in the sixth game of the second set to remain unbroken, forcing a tie breaker. Pospisil, who was broken in the sixth game of the opening set, served consecutive double faults in the tie-breaker to hand advantage to Bopanna and Roger-Vasselin.